Imagine a space shuttle speeding toward Earth at 17,500 miles per hour, the friction outside heating the vessel up to more than 3,000 degrees Fahrenheit as it enters the atmosphere. Those kind of temperatures normally melt metal. So what protects NASA's space shuttles? That's just the kind of question award-winning scientist Ainissa Ramirez can't wait to answer. In fact, she's done it in this YouTube video. Hint: It involves sand. "I always target everyone's inner smart 12-year-old," says Ramirez, who has a gift for explaining complicated science to people like you and me. She's got patents and has written dozens of technical papers, but her ability to simplify is what makes Ramirez a great teacher. And as a self-described science evangelist, she's trying to reach the world by writing books, giving TED Talks and producing online videos to explain scientific concepts. She's jumping on the podcast bandwagon too, with a new show called Science Underground. "Our first episode is about killer asteroids. There are about 4,000 or so asteroids that are big enough to take out a city," she says. "NASA is working on it ... sort of. So we think people ought to know about that." Ramirez used to reach a much smaller audience, teaching mechanical engineering and materials science at Yale for a decade before going out on her own a few years ago. The world has taken note. Recently the American Institute of Physics gave Ramirez the Andrew Gemant Award for what one member of the selection committee called "a brave thing" — something many scientists don't do: going beyond research and encouraging everyone to think about science in their own lives. And the award is nothing to sneeze at. Past winners include Stephen Hawking, Brian Greene, who wrote The Elegant Universe, and one of Ramirez's heroes, Alan Lightman, author of Einstein's Dreams. When people ask her if she misses teaching at Yale, Ramirez admits academic life just wasn't for her. But teaching always was. "I am the product of great teachers. They can show you something that you have never seen before. And awaken that little something inside of you that you've never seen before." Awakening that little something in young people, especially young people of color, is Ramirez's true passion. 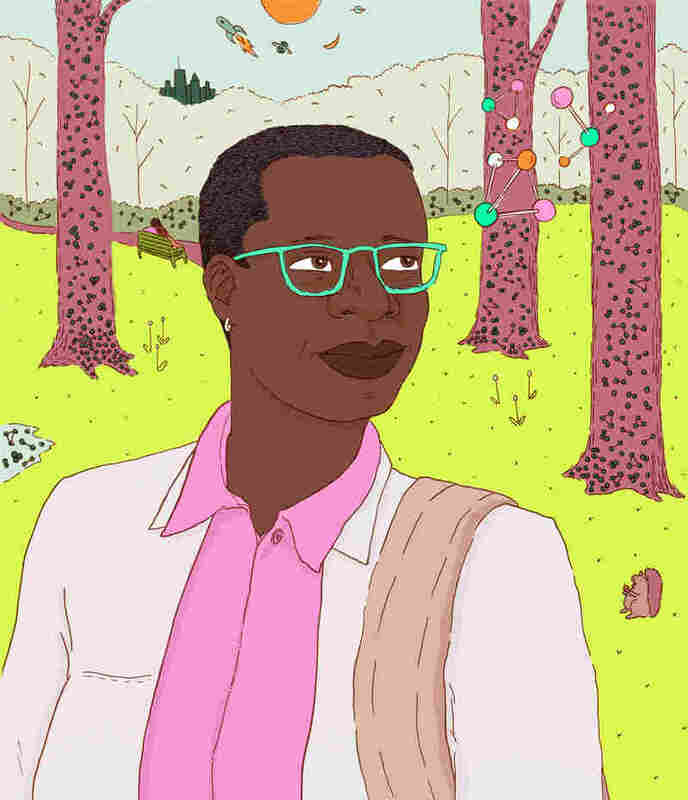 As a 4-year-old kid in Jersey City, N.J., Ainissa knew she wanted to be a scientist, but she says there weren't many, if any, African-American scientists for her to imagine herself as. So in her lectures now she's talking a lot about the importance of STEM education — science, technology, engineering and math. "STEM is a superpower, but it has a kryptonite," she said this summer at a lecture in College Park, Md. "And that kryptonite is this word 'can't.' See, the brain is this beautiful machine; whatever you tell it, it will do. So if you say, 'I can do this,' your brain will say 'OK, we can do this.' "
Jeremy Poindexter heard that message loud and clear. As an undergrad in Ramirez's introduction to materials science course at Yale, he was hooked. Now he's a Ph.D. student at Massachusetts Institute of Technology working on solar energy. "It can be lonely in materials science," he says. "You know, especially as a minority, and I think that people like Ainissa are really important as role models." Because no matter how big an audience you're shooting for, sometimes being a teacher boils down to just that — making students feel a little less lonely.